April is our favourite time of year because everyone is talking about poetry! We are incredibly proud of and humbled by the role we play in supporting and amplifying the voices of Canada’s incredible poets and their contributions to the Canadian – and global – poetry community. Poetry does so much: it can elicit emotion, provide information, construct images, build worlds, strengthen bonds, tell stories, teach us to listen, build empathy, catch our attention. Poems are gifts that we can share, that we can hold close and return to when we need them. It takes more than just a poet to keep poetry alive and well in Canada: we need writers of poetry, readers of poetry, and partners in poetry. 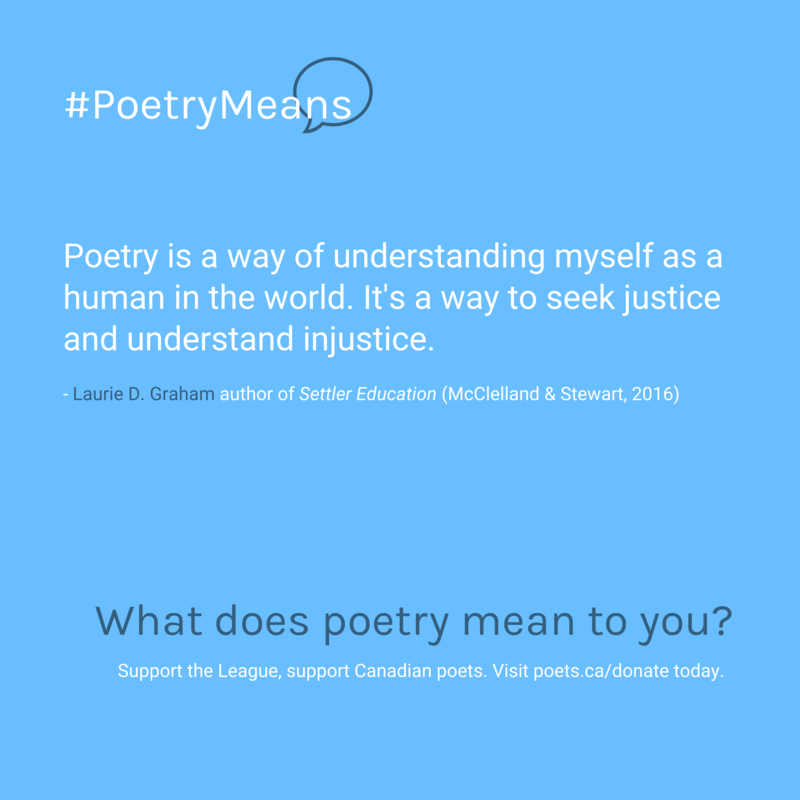 This year marks the 21st year of National Poetry Month in Canada and to honour that legacy, we’re want to raise $2100 for Canadian poets and poetry! 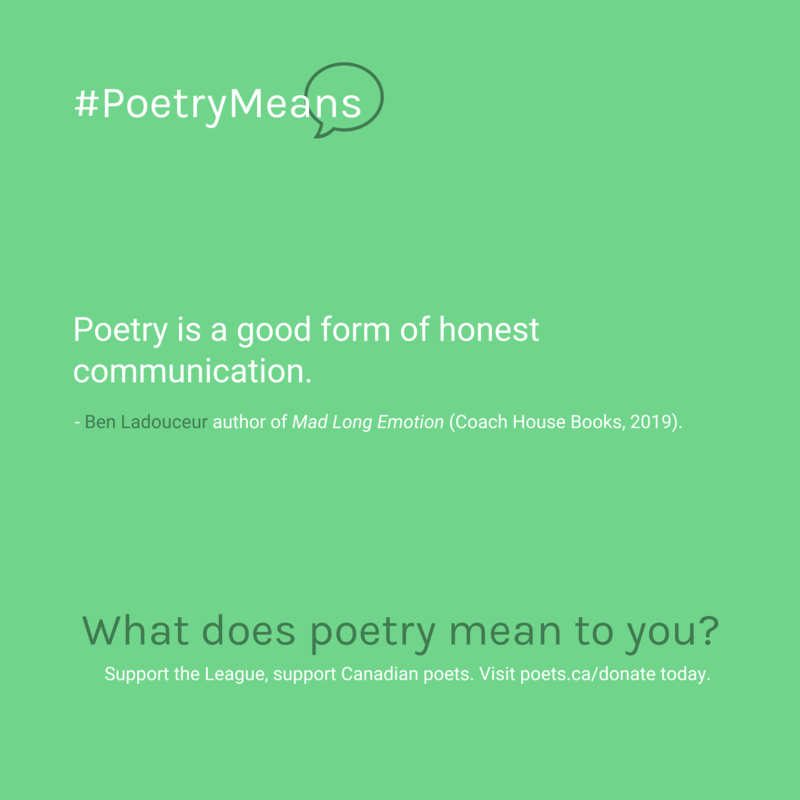 $2100 will help us grow and sustain our outreach programs (like Poetry Pause), create paid publication opportunities for poets (like the LCP Chapbook Series), support our awards, and better connect and support our hundreds of poet members across Canada. Your donations to the League go directly towards furthering our goal of nurturing a professional poetic community in Canada. Through funding, awards, mentorship, and publication, we aim to bring poetry into the lives of everyday Canadians, while supporting the amazing poets who can make that happen. Follow this link to donate today. We want to know: what does poetry mean to you? During National Poetry Month, let us know what poetry means to you. 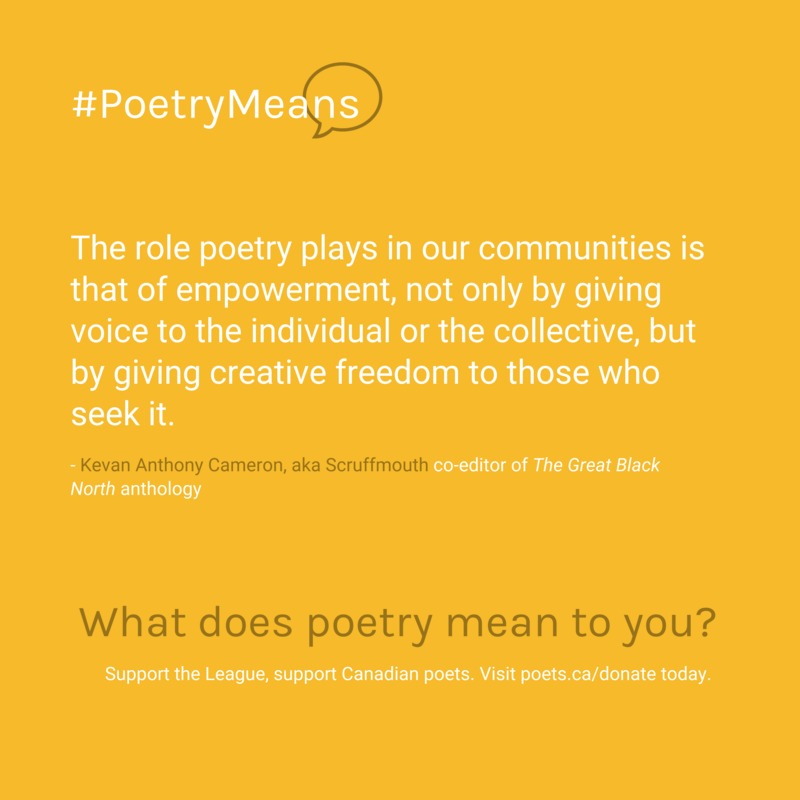 Tag @CanadianPoets and use the campaign hashtag #PoetryMeans on Twitter, Facebook, and/or Instagram. We need readers, writers, and partners of poetry to keep the community thriving; we want to hear from everyone! We’ll be sharing your responses all month long to celebrate the important place poetry holds in the Canadian literary community. We hope that sharing what #PoetryMeans to you will help encourage donations to keep our programs running! 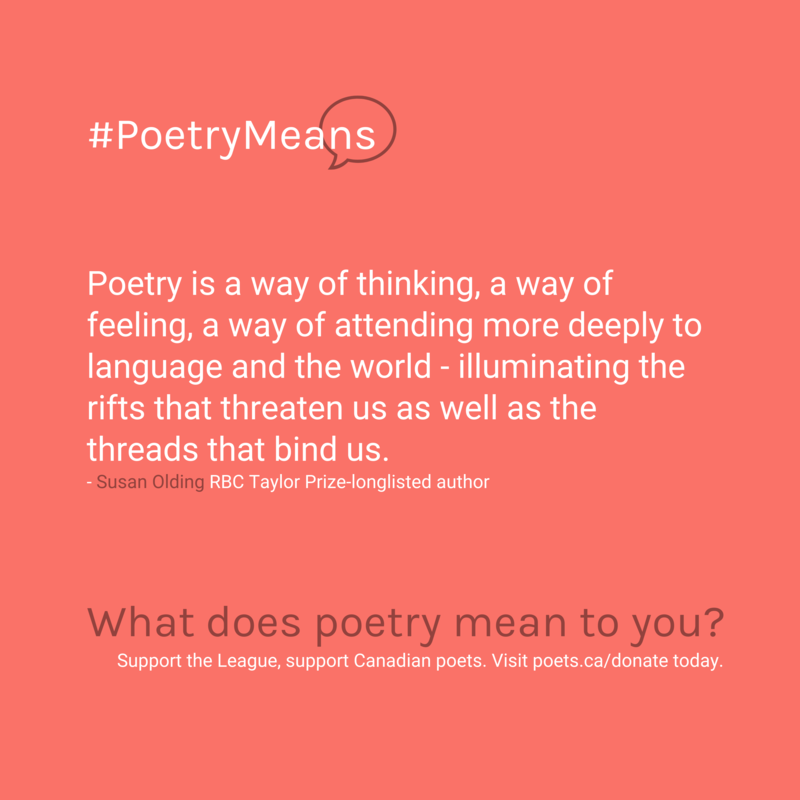 Lend a dollar, lend your voice: contribute to our #PoetryMeans campaign this National Poetry Month to help support Canadian poets. Follow this link to donate today. Warm thanks for your generosity.